Chennai: Cognizant Technologies Solutions Corp., India’s third largest information technology (IT) company, on Thursday said it has taken over 1,000 employees and two facilities of its existing client ING US while signing a new $330 million deal to continue offering technology solutions to the Dutch financial group’s American arm. Besides signing the multi-million dollar seven-year deal with ING US, Nasdaq-listed Cognizant said it will hire 1,000 ING US employees in Minot, North Dakota and Des Moines, Iowa to create a delivery hub for Cognizant’s insurance and finance business process services that currently cater to more than 40 clients. While Cognizant will purchase its client’s North Dakota office, it will sub-lease ING US’s Iowa offices, providing continuity to its customers and employees who will transition to Cognizant. “Our new center of excellence will serve as a key long-term component of our global delivery network and is yet another step in our ever-expanding in-country delivery capability," said Gordon Coburn, president of Cognizant in the press release. The agreement signed with ING was similar to one inked in 2009 with Invensys Rail, a Cognizant spokesperson said. As part of that three-year-old deal, Cognizant hired over 120 Invensys Rail professionals from its existing R&D center in Hyderabad. Thursday’s acquisition comes nearly a month after, citing less-than-expected demand for computer services, Cognizant slashed its 2012 revenue growth forecast by 3 percentage points, a move that sent its shares reeling on the Nasdaq. The last time Cognizant had to cut its full-year outlook was in 2008 at the height of the global financial crisis. 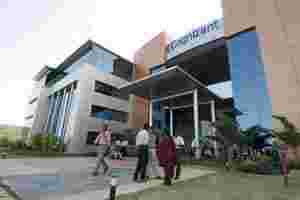 Despite being headquartered in the US, Cognizant traces its origins to Chennai with a local venture of American research group Dun and Bradstreet, and most of its nearly 140,000 employees are based in India.